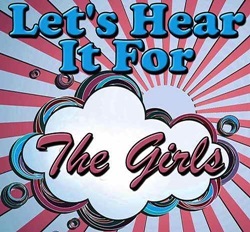 Streamingoldies > Memories Medley > Let’s Hear It For The Girls! Here are nine more songs by nine incredible female artists. It’s an attempt to make up for all the times I have concentrated on male singers and groups. They all can do the locomotion!! Another fine selection!! Do it nice and easy now, don’t lose control. A little bit of rhythm and a lot of soul. Come on baby, do the locomotion because if you want to know it is in his kiss. One fine day, you’re gonna want me for your girl,in the meantime, everybody wants a piece of my time. If you see me walking down the street, walk on by cause always someone marches brave here beneath my skin. How about that ever elusive kudo, I love rock and roll so put another dime in the jukebox baby. Nobody does it better, nobody does it half as good as you .. baby you’re the best. Really loved it, and Penny’s comments are always the icing on the cake. Ray, love the songs, but for ‘us’ older audiences the women making it in the musical world was heartening for the women making forays into all aspects of entertainment!! I try to keep the music balanced, Sharon. Three from the 60s, three from the 70s, two from the 80s and one from the 90s.